<< Back Black GEC Muraphone. 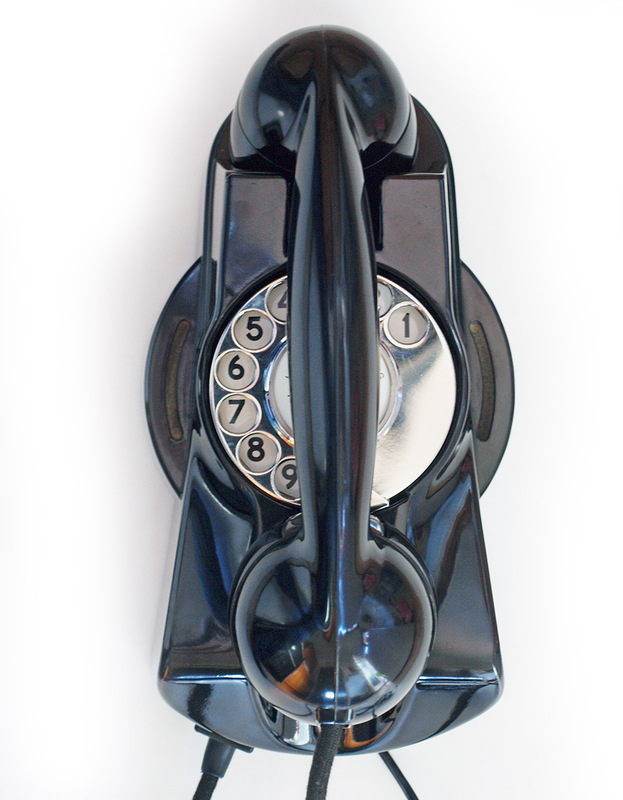 This is a wonderful design with a beautiful moulded shaped body to allow the handset to sit perfectly into its nest. 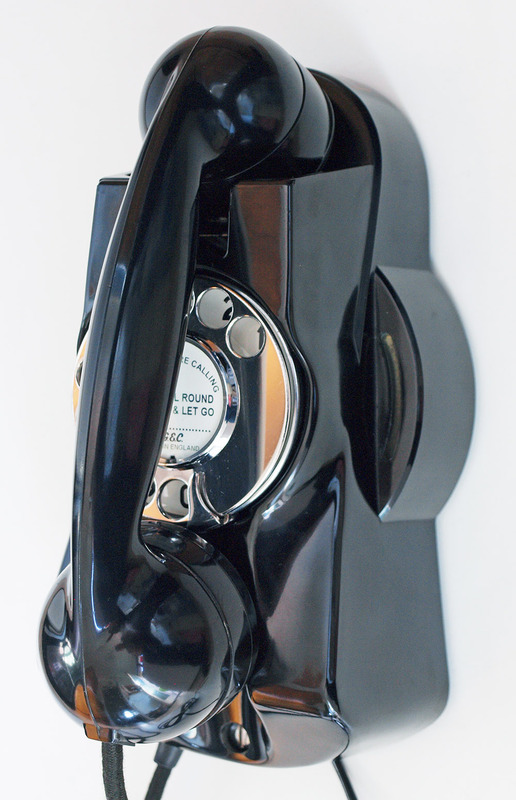 The model was designed by GEC and and was manufactured from the 1940s through to the 1950s. 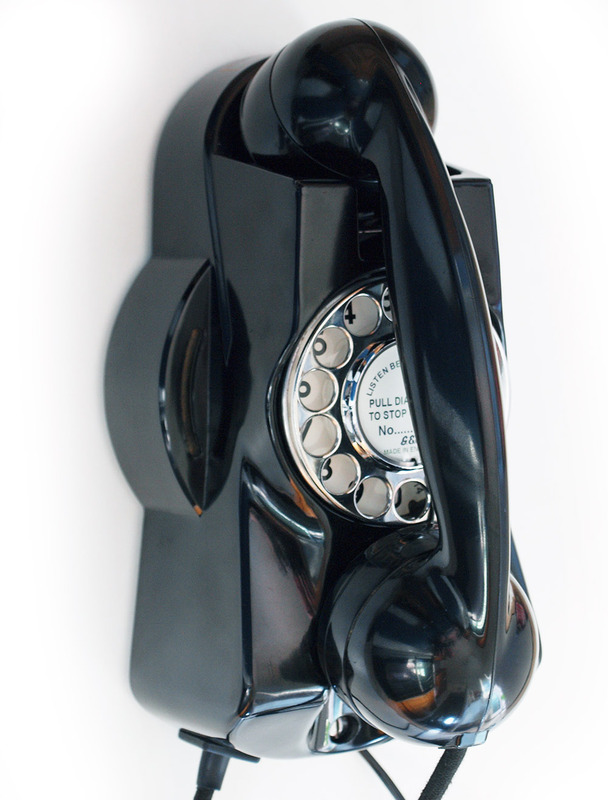 This was probably one of the later models as it has the later style handset. Note the GPO No12 dial and the handset cord which is nice and long and is black braided and not as the GPO plaited style. 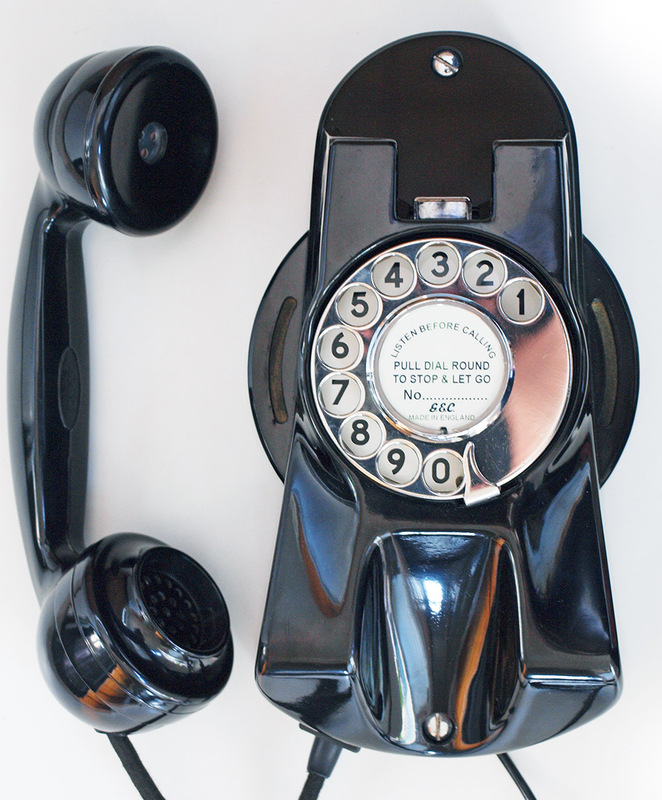 This model was used in board ships quite commonly probably due to the good solid location of the handset. This one is in wonderful condition and has been stripped down and re built after each part has been cleaned and polished. 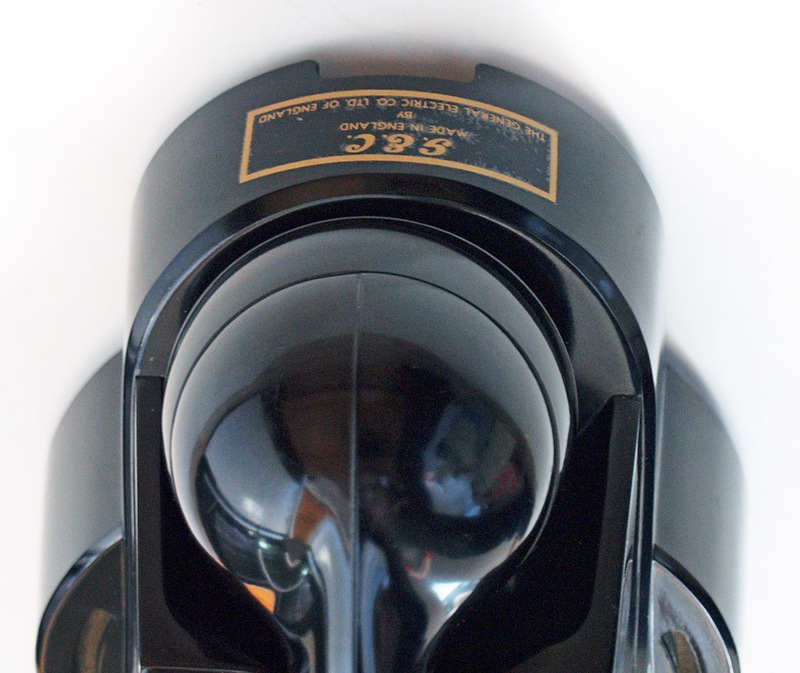 It has been fitted with an electronic microphone and GPO specification round plastic line in with a UK telephone plug socket. I can make a GPO style dial label with your information at no extra charge. This model often had a buzzer fitted but this one has a good solid double gong mechanical bell inside.